A big old tennis-ball, that is the globe to RACQUET. The magazine contemplates the waning years of Serena and Obama and dives into Australasia just in time for the summer Down Under. It visits Japan, land of a thousand autumns and goes to the Middle East, home to the world’s most glamorous tournaments—but little homegrown talent. 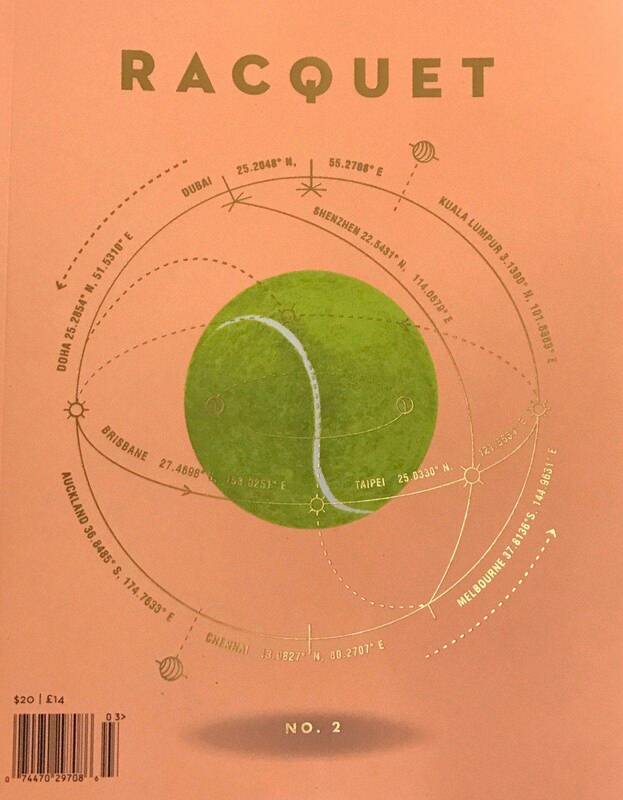 For its original approach the first issue of RACQUET was shortlisted and commended for a Stack Award, the prize for the most appealing indie magazine. This second issue proves the jury right. Bruil.info delivers international magazines subscriptions, magazine back issues and books to private persons, companies and to distributors / bookshops. We are specialized in design magazines and architecture magazines. Are you looking for a special title or subject: insert the key word(s)in search and go! As we handle the most important design and architecture magazines from all over the world, we are able to supply to distributors, agents and book shops at a convenient way. As standing orders, subscriptions and back issues! We ship from our house by priority mail!